For the most part, Canada’s new food guide, finally unveiled today, was designed with cardiovascular disease prevention in mind. A background document, Canada’s dietary guidelines, notes that “cardiovascular disease is a serious public health concern.” Many of the scientific reports used for the “what to eat” aspect of the guide were focused on cardiovascular health, such as the 2016 Canadian Cardiovascular Society guidelines for the management of dyslipidemia for the prevention of cardiovascular disease in the adult. While it’s great to see mindful eating enshrined in the food guide, this wording sounds to me like “watch what you eat” as in “don’t eat too much,” which isn’t what mindful eating is about. As my colleague and author of the newly released Mindful Eating Workbook said, “‘Practice mindful eating’ would have been better.” But if you click through, the actual mindful eating tips on this page are pretty good. “Highly processed foods” is a subjective term, but they define it as those that add “excess sodium, free sugars, or saturated fat to the diets of Canadians.” I would emphasize excess and add refined grains. Two things to note: They distinguish between “highly processed” and just “processed.” Frozen peas: processed. Frozen pizza: highly processed. And again, only a problem if it adds “excess” sodium, saturated fat, or free sugars to your diet. So a piece of cheesecake once a week might not be an issue. A piece of cheesecake every night yes. Milk and milk products aren’t gone! This is the biggest misconception I’ve seen on Twitter. Dairy is still there, in the protein group, it just no longer has it’s own group. Milk is also mentioned as a healthy beverage alternative to water. You can drink more than just water! If you just look at the picture or the headlines, you’ll see “Make water your drink of choice,” but click through and you’ll see other healthy beverages, including unsweetened milk, fortified plant-based beverages, coffee and tea. In addition, there are lots of creative ideas for mixing it up, including carbonated water and five delicious-sounding ways to infuse flavour into your water. This is from the Dietary Guidelines document, but I mention it here because I really just want to put this fat thing to bed. I remember starting my cardiac rehab job in 2006 and we debated this and ultimately included it in our classes: Reducing total fat in your diet isn’t necessary for heart health. 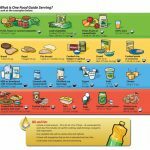 However, replacing foods that have mostly saturated fat with foods that have mostly healthy fats can help lower LDL cholesterol and the risk of heart disease, which is why you’ll see references to this throughout the new food guide. And I like how the section on fats is titled “Choose foods with healthy fats” as opposed to the old emphasis on reducing saturated fats. Bring on the nuts, peanut butter, avocado, and olive oil. I think my meal planning is done for the next month. I want to try them all! Each recipe gives prep and cook time, most of which are fast enough for weeknights. And all whole grain, with lots of plant-based protein and vegetables. If you think you could stand to incorporate more of those in your diet, try them out, and let me know if you find a good one! “Cook more often” (versus eating out, takeout, or food in a box) isn’t new advice, so it was refreshing to see some specific ideas for how to make that happen, such as various ways to cook once and eat twice, and foods to keep on hand, like canned chickpeas or bagged salad greens. Again, helping people more with what to eat than what not to eat makes sense. How about leftover baked chicken instead of deli meats, and stocking the kitchen with nuts, fruit, carrots, and hard-boiled eggs? People who cook every day have probably figured these out, but if you rely on highly processed and fast food, these simple tips might come in handy. “Be aware of food marketing” might sound like another throwaway line, but I challenge you to give it some thought. The question that especially resonated with me, working mostly with mature adult audiences, was to ask why you want to purchase a certain food or drink. Do you think it’s healthy or will provide nutritional benefit? Question what form of marketing you got these ideas from: A sponsored blog post? Messages on the product itself? I find these influences coming up without people realizing it, but there are others listed there that might be relevant to you. I swear I have no affiliation with the dairy industry. In fact, I’m not a fan of their marketing and lobbying practices. But the foods are a good source of protein that many Canadians enjoy eating earlier in the day, when we tend not to get enough. That protein earlier in the day may help with evening snacking and keeping your metabolism up as you age, both considerations for heart health. In addition, milk products play a role in the blood pressure lowering of the DASH eating pattern. And as far as I know, we still need calcium. So if you like yogurt, cheese, and milk, keep enjoying them. If not, fortified soy beverage is my preferred alternative, because it contains protein, unlike almond, oat, and rice milk. Or talk to a dietitian about other ways to get your calcium. If you have diabetes, you might want to look at Diabetes Canada’s plate model, which is similar to this new one, but includes starchy vegetables in the quarter-plate grains section and not the half-plate vegetable section, so you don’t end up with a half-plate full of potatoes (plus a dinner roll or two), certainly not an unusual sight here in the prairies. That’s more carbohydrates than most people with cardiovascular disease and diabetes need at once. Potatoes are actually chock full of nutrients, including fibre and potassium, both of which are helpful for heart health, but they’re often eaten in a highly processed form (ala french fries and potato chips) and/or huge amounts (mashed potatoes at Grandma’s). So studies have linked them to diabetes. And generally we try to spread out carbohydrates throughout the day with diabetes, so a giant pile of potatoes at supper doesn’t help. So, potatoes are fine. But regularly having a half-plate of them isn’t a great idea if high blood sugar is on your watch list. The new guide is consistent in always mentioning lower-fat milk products. You can review the evidence here, but basically the reasons they went with lower-fat milk products are (1) The DASH studies did, and they improved cardiovascular risk factors and (2) Replacing saturated with unsaturated fats lowers LDL cholesterol and heart disease. If you read my guide to eating well after a heart attack, you’ll know that some more recent studies indicate that higher-fat dairy foods are okay, especially in moderation, but that evidence just isn’t as strong (yet). My compromise is to go with the lowest-fat milk, yogurt, and cheese that you truly enjoy. It does take a few weeks to adjust to lower-fat milk, but if you don’t develop a taste for it, don’t force it. Life is too short, and it doesn’t make that big a difference in the overall scheme of things. Same for yogurt and especially cheese. Grains? We should be recommending keto! There are certainly people, cardiologists even, saying this, but I’m not one of them. The ketogenic diet, the low-carb approach de jour, does actually produce significant weight loss and improvement in cardiac risk factors in the short run (up to 1-2 years), so some have argued for it in people with heart disease. What we would need first, however, is longer-term data showing that it reduces the incidence of actual cardiac events and mortality, something that would require people to stay on it and keep the weight off longer than in those short-term studies. And as I discussed in my post about why I can’t help with weight loss, once the weight returns (and it almost always returns, in 2-5 years if not sooner), people may well be worse off. 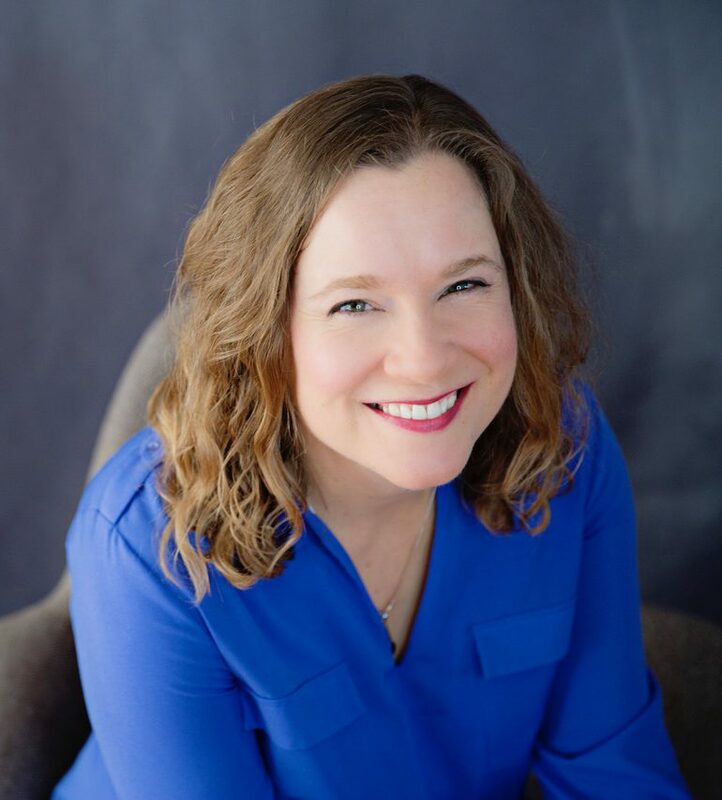 So while you might hear a doctor or two on the radio pushing low-carb, high-fat (LCHF) diets, you’ll rarely hear it from an actual nutrition professional (aka a dietitian). Most of us have worked closely with too many people who’ve been on the diet roller roaster all of their lives. Not going there. At first glance, that phrase might sound like more “eat your vegetables” guidance. But by “healthy eating habits,” they mean considerations like where, when, why and how we eat, which are as important as what we eat. 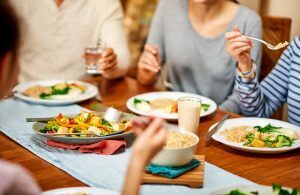 It means slowing down and taking a few minutes to dine with friends or family rather than inhaling food alone over the sink or in the car, at least most of the time. Sometimes life gets in the way, but how wonderful that these important factors are now addressed in the food guide. In that spirit, they’ve dropped portion sizes (!) in favour of “proportions” (half your plate vegetables, etc.) and the radical suggestion to use hunger and fullness cues. Imagine that, listening to and trusting your body. I even like how the language is not prescriptive (it doesn’t say “eat when you’re hungry and stop when you’re full”) but rather suggests we “notice” when we’re hungry and full. Then you decide when to stop. It’s about paying attention to how you feel. For many of us, this will require slowing down and reconnecting with hunger and fullness signals we’ve long learned to ignore, thanks to “clean your plate” mandates, prescriptive diets, and harried lives. You might find it helpful to keep a journal to raise your awareness of these feelings, as described in this article. Again, you might be used to hearing that from me, but it’s often forgotten in heart-healthy eating recommendations. And it does matter, even (especially) if you’ve had a heart problem. Food can be one of life’s great joys. It helps us connect with others. If you’ve adopted different eating habits because of a cardiac event, experiment until you find foods, recipes, and restaurants you truly enjoy, and you’ll be more likely to stick with your heart-healthier eating pattern. There aren’t a lot of specifics there, but still great that they acknowledge it. Turning to the food choices part of the guide, this principle is one of the most important for heart health, and is sure to be one of the most controversial, given our vocal agricultural industry. Note, however, that they don’t say “exclusively” plants or even “mostly” plants, just “more” plants. Does that mean more plants than animal foods? Or just more plants than you’re eating now? It doesn’t say, which is one of the things I like about this guide. Factor in your preferences, your health situation, your lifestyle, then do what works for you. What’s the rationale? If we look at the blood pressure lowering DASH eating pattern (and they did), plant-based protein foods like beans, lentils, and nuts play a key role. Same with the Mediterranean diet. The environmental impact was also a factor. “Choose whole grain foods” might sound like something you’ve heard before, but there’s a subtle but important difference. The old food guide just said “Grain products” and “Make at least half of your grain products whole each day,” so this is a big step in the whole-grain direction. As always, don’t take it as all or nothing. If you go out for the odd lunch and have a noodle bowl, it likely won’t be whole grain. No worries. But most days, most meals, see if you can shift to whole grains. Word to the wise: Many breads, crackers, and other seemingly whole-grain products aren’t. Want to be sure? Take my whole grain pop quiz. What a shift! Juice is now listed under sugary drinks, instead of as a fruit or vegetable option. This is a huge, overdue shift. As they say, “Fruit juice and fruit juice concentrates are high in sugars… Choose whole or cut vegetables and fruits instead of juice.” No news here, right? I discussed this in my post from last week. The food guide is meant to be just that, a guide. It’s flexible enough to interpret however works for you, if you choose to do so. Dietitians will still help people adapt it to specific medical conditions if needed. But it’s taught in schools and used to drive meal planning in institutions like daycares and hospitals, so it matters. And for the most part, this long overdue update is full of sensible guidance and pretty good looking food to boot. ← Does juice belong in your heart-healthy kitchen?